While we’re all busy with our own books, we also work together on a variety of projects to help us meet our goals. From this website, you can read the latest gossip in the Teatime Tattler, and can also follow the links in the icons to the right to explore our social media homes on Pinterest, Twitter, and Facebook. Or sign up for our newsletter, for quarterly news about our joint and individual publishing and other activities. We also publish at least one box set a year. 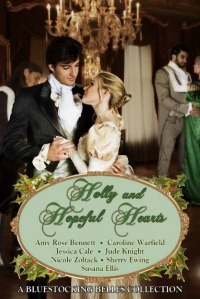 The set for 2016 is Holly and Hopeful Hearts. For 2017 it is Never Too Late. 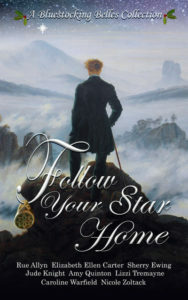 For 2018 it is Follow Your Star Home. We have more than one for 2019. 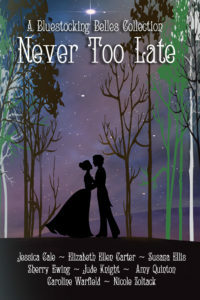 Valentines from Bath has a release date of 9 February, and there will be more to come later in the year. Some of the proceeds from all our joint activities go to support the Malala Fund. Check the project page for details.